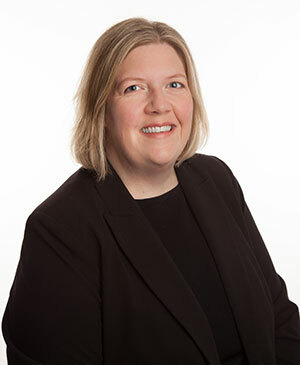 Virginia Cronin Joins Henningson & Snoxell, Ltd.
06.06.2018 Written by: Henningson & Snoxell, Ltd.
Henningson & Snoxell, Ltd. is pleased to announce that Attorney Virginia Cronin has joined the firm. Virginia is a member of the firm’s Business Law Department providing legal counsel to nonprofit organizations including churches, schools and tax exempt organizations. Prior to joining the firm in 2018, Virginia worked as an Assistant Public Defender, consulted and worked for law firms across the United States and locally focusing on legal practice tools, legal process improvement and change management. Most recently as an Executive Director of a local nonprofit organization that serves over 400 women and families each month. As a former nonprofit leader, Virginia understands the many demands and realities of nonprofits and uses her experience to provide practical and legal advice to clients. She views her role as a trusted advisor to clients, providing advice on a variety of topics and issues they encounter every day from incorporation to employment/human resources issues and everything in-between. This allows her clients to stay focused on their missions and callings, while she handles the legal and business issues for them. Virginia received a J.D. from the William Mitchell College of Law, a B.S. from Iowa State University and a B.A. from The University of Iowa. She is admitted to practice law in Minnesota State Courts.